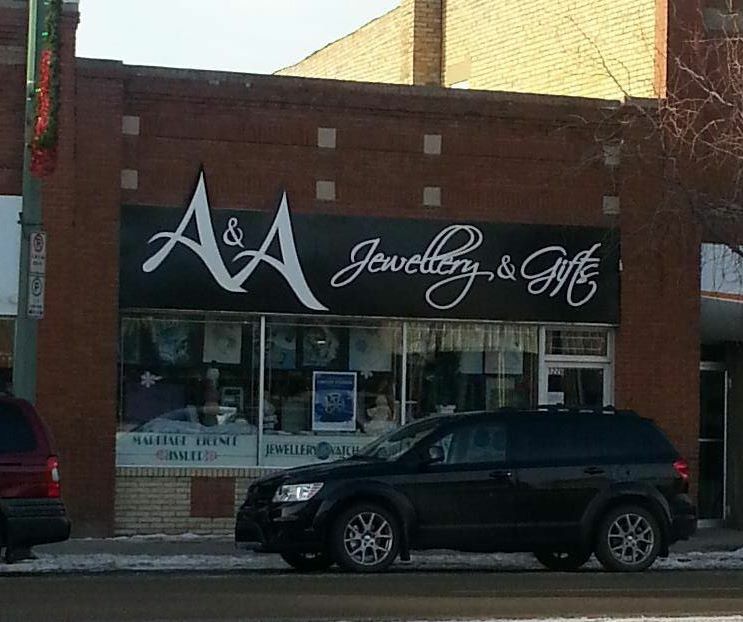 Since 1972, A & A Jewellery has been a locally owned family-run business in downtown Estevan, Saskatchewan. We strive to provide our customers with excellent service and quality products. We offer many popular brands in jewellery, watches and a large showroom unique gift ware. We are proud to be members of the CJA (Canadian Jewellers Association) and adhere to the industry’s laws and regulations, environmental best practices and the CJA’s Code of Ethics and Standards of Conduct. We are pleased to provide your non-profit charity with an item for your fundraiser. All requests must be accompanied with a signed letter, which includes details of the event and must be submitted at least 2 weeks prior. Our hours are Monday to Friday 9:00AM to 5:30PM and Saturday 9:00AM to 5:00PM. For those people who want privacy, or are unable to shop for engagement rings during our regular business hours, we now offer after-hour engagement ring viewing. Please call 306-634-2215 for an appointment. We look forward to serving you in our store! The Canadian Jewellers Association is the trusted voice in Canada when searching for engagement rings, diamond rings or jewellery. CJA member jewellery stores pledge to uphold a 13-point Code of Ethics so you can shop with confidence. Find a trusted jeweller in the CJA Directory to better enjoy your jewellery shopping experience.